Melissa has been awarded a WCS Christensen Conservation Leaders Scholarship to pursue a PhD in the Department of Zoology at the University of Oxford, where she will be joining the Interdisciplinary Center for Conservation Science to work in the Oxford-Martin Programme on Illegal Wildlife Trade. She received a Master of Environmental Management at the Yale School of Forestry and Environmental Studies, where she applied a variety of research methods, including camera trapping, species distribution models, and spatial analyses to understand how the Sumatran tiger and smaller felids occupy the palm oil-dominated landscapes of Sumatra. She was then the recipient of a Yale Fox International Fellowship, allowing her to lead a research project at the Landscape Ecology and Conservation Lab of the University of São Paulo estimating the effects of Amazon protected area mosaics on deforestation in Brazil. 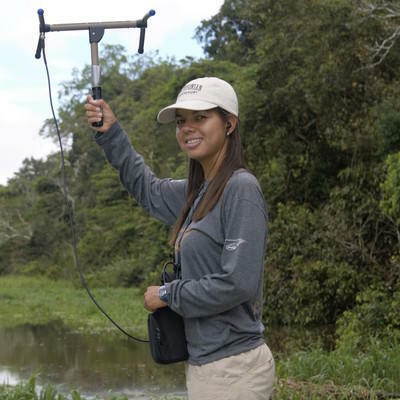 Her PhD research aims to integrate the social sciences with ecology and advanced statistical methods to build a defaunation risk map of the Amazon, modeling current and future interactions among land use change, hunting and wildlife trafficking, with a focus on highly vulnerable and commercially valuable species. 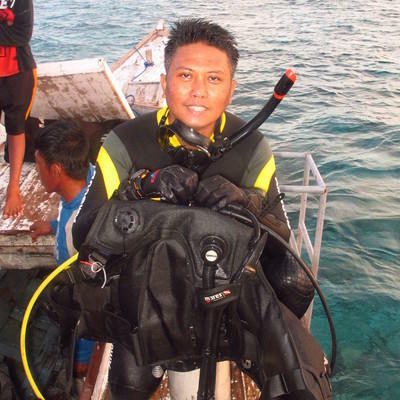 Yudi has been awarded a Clive Marsh Conservation Scholarship to pursue a PhD that will look at how to integrate fisheries and marine protected area (MPA) design in Indonesia, the heart of the Coral Triangle and the global center of marine biodiversity. For the last five years Yudi has managed the entire WCS Indonesia Marine Program, with about 16-20 staff. He has been assisting government and community partners to identify key biodiversity areas for conservation. This includes establishing and strengthening the management of 16 MPAs in Indonesia covering 885,000 hectares in total, and supporting the government of Indonesia to establish the national MPA system, including regulations and technical guidelines and building the capacities of MPA management authorities. Yudi’s doctoral research will focus on how to design fisheries regulations for MPAs to meet the multiple objectives of conservation and sustainable fisheries management. This will include estimation of fish stocks and evaluation of different fisheries management regulations, such as catch size limits, seasonal and spatial closures, and restriction of fishing capacities to propose a scientific and sustainable model of fisheries management. 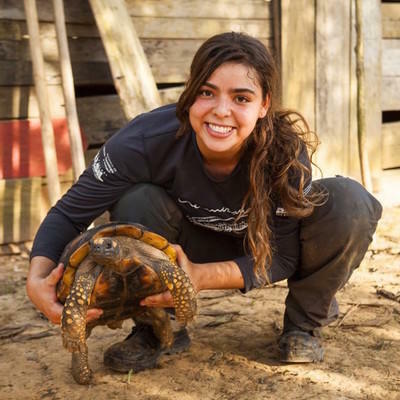 Thais has been awarded a WCS Christensen Conservation Leaders Scholarship to pursue her PhD in Anthropology and Geography in the Department of Social Sciences at Oxford Brookes University, which includes the Oxford Wildlife Trade Research Group (OWTRG). Recently, Thais led an assessment of the effectiveness of protected areas in conserving large-bodied mammals in two Brazilian hotspots and then led a three-year project aimed at building a community-based management system for game species at the Amanã and Mamirauá Reserves. She has also built and executed a long-term environmental education project, developed long-term environmental education and sustainable management plans for local rural communities and protected areas, and published a guidebook for Amazonian chelonians. Her paper on illegal sport hunting in Brazil won the Ralf-Yorque Memorial Award for best paper of 2015 in the journal Ecology and Society. Her PhD research will be aimed at uncovering the illegal wildlife market through forensic science, a participatory monitoring program, and adaptation of net analysis to unveil the Brazilian traffic network of freshwater turtles and tortoises for consumption and the pet industry, and of felids for pet, medicinal and decoration purposes. Paul has been awarded a Tellus Leadership Scholarship and will attend Yale University’s School of Forestry and Environmental Studies to pursue a Master’s of Environmental Management program, with a specific focus on economic tools that can be applied to promote improved conservation in developing countries such as Uganda. Over the past ten years Paul has been working on or leading the implementation of sustainable financing options such as setting up a conservation trust fund, payment for ecosystem services, and Reduced Emission from Deforestation and forest Degradation (REDD+) aimed at incentivizing private land owners to conserve wildlife. This includes management of the “USAID/Uganda Biodiversity Trust Fund,” a four-year project whose goal is to create and establish a conservation trust fund in Uganda. Earlier he worked on a USAID project to strengthen the collaborative forestry management arrangement between Uganda’s National Forestry Authority and forest adjacent communities in southwestern Uganda. He also worked for the Chimpanzee Sanctuary and Wildlife Conservation Trust for seven years, including managing a GEF/UNEP project on “Developing an Experimental Methodology for Testing the Effectiveness of Payment for Ecosystem Services to Enhance Biodiversity Conservation in Productive Landscapes in Uganda.” Paul plans to pursue a study on infrastructure development, compensation schemes and ecosystem services in Key Biodiversity Areas (KBAs) in Uganda. 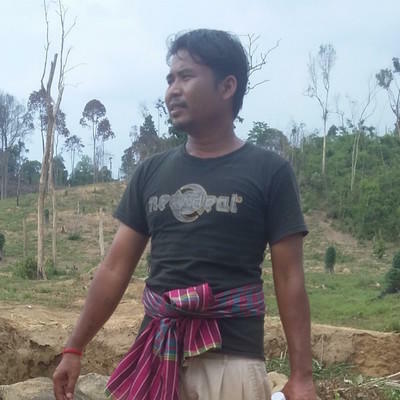 Sokha has been awarded a WCS Christensen Conservation Leaders Scholarship to pursue his Masters degree at the International One Health Program for Assessment and Management of Health Risk at the Human, Animal and Ecosystem Interface (InterRisk). Sokha was raised in a refugee camp in Thailand, but went on to receive his Bachelor degree with a major in Agriculture Economics at Chamroeun University of Poly-Technology in Cambodia. Sokha has worked with the WCS Wildlife Health Program since 2006, implementing zoonotic disease surveillance activities on avian influenza; amphibian disease surveillance; an avian influenza study on the traditional practice of merit bird release in Phnom Penh; epidemiologic investigations of vulture mortality events; mangrove terrapin treatment and rehabilitation; and pathogen detection in wild animals at the wildlife-domestic animal-human interfaces on target species such as non-human primates, bats, rodents, carnivores, and ungulates. His Masters project will focus on improving the coordination between wildlife health monitoring and landscape-based conservation efforts in Cambodia and assess the effect of integrating health indicators for wildlife, communities and ecosystems on the management of landscapes with different degrees of natural habitat loss and impacts from wildlife hunting and consumption. Amata has been awarded a WCS Beinecke African Conservation Scholarship, with support from The Sperry Fund, to pursue a Master’s in Development Practice at the University of Arizona. 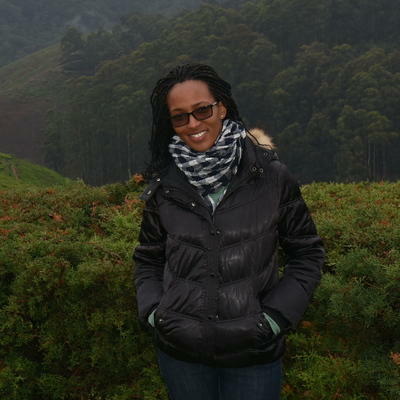 She has been working for WCS since 2014 as Community Development Officer for the Nyungwe Forest Conservation Project. Her main responsibilities have been to identify and assess viable income generating activities that could be promoted to address specific conservation threats and community needs. This includes leading a pilot project aimed at distributing over 11,000 energy efficient cooking stoves; and organizing and mobilizing community-based organizations around NNP, including organizing and supporting three cooperatives of ex-poachers. She also developed a strategy for the growth and management of a community revolving fund, including specific guidelines on how communities could tap into these resources for local development activities. She managed to create and support more than 160 village saving and lending associations (VSLAs) that can access loans from the community revolving fund. Her Masters research will focus on assessing the impacts of community development projects on local livelihoods and conservation in Rwanda to better help guide the design and implementation of integrated conservation and development projects. Wezddy has been awarded a WCS-WCN Conservation Scholarship to pursue her PhD on human-jaguar conflict. Born and raised in Mexico, Wezddy’s first major field experiences were in the marine conservation realm, working on dolphins and whales off of coastal California, southern Europe, and Australia, as well as pink river dolphins in the Brazilian Amazon. Wezddy has been performing research on jaguars in Brazil for the last five years, including leading the project “Prediction promotes prevention: Forecasting the spatial and temporal distribution of livestock predation by jaguars (Panthera onca) in the Central Amazon,” which included having her execute questionnaires across 410 communities in the central Amazon. She currently belongs to the Felines Research Group at the Mamiraua Institute and is a member of the Jaguar Conservation Alliance. For her PhD Wezddy plans to focus on methods to reduce human-jaguar conflict and perform research on the movement ecology of the jaguar, integrating ecological data (on movement) and social data (on conflicts and interactions). Bernard has been awarded a Beinecke Scholarship to pursue a Masters degree that will focus on critically endangered forest elephants. 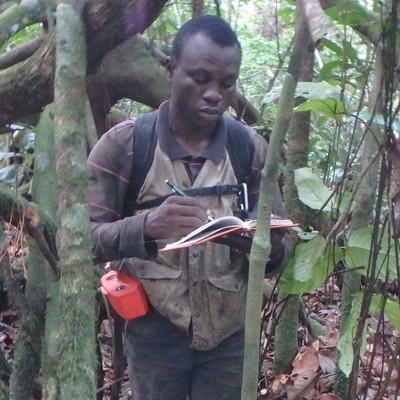 Bernard has served as Biomonitoring Team Leader for the Bonobo Conservation Project in the Salonga National Park, in the heart of the Congo Basin, conducting a series of surveys in the remote tropical swamp forests of SNP. 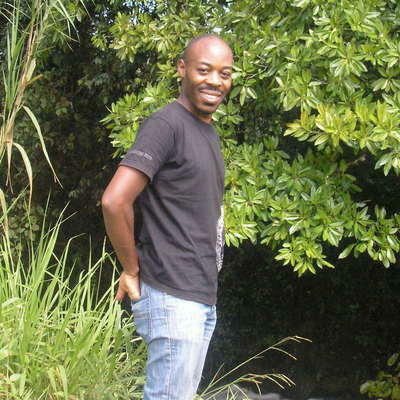 His Masters research will have a particular focus on the ecology of forest elephants under the title “Resilience and dynamics of forest elephants towards human pressure in the Salonga National Park (DR Congo),” with the goal of promoting renewed conservation strategies against poaching and wildlife trafficking. He plans to analyze the density and distribution of forest elephants over the last decade, examine elephant behavior to assess the resilience of forest elephants in the SNP after a decade of stressed conditions mainly due to poaching, and evaluate the effects of human pressure on the forest elephants’ movements. Andrés has been awarded a WCS Christensen Conservation Leaders Scholarship to pursue a Master’s in Scientific, Medical and Environmental Communication at the Universitat Pompeu Fabra in Spain. He previously graduated with a Masters of Science in Protected Area Management from James Cook University in Australia. 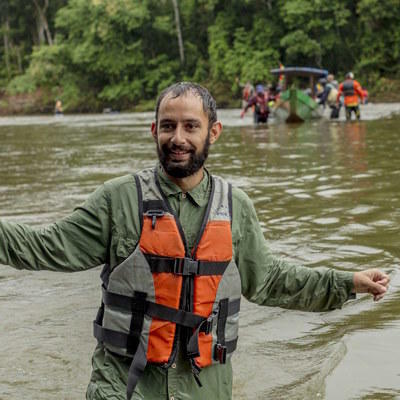 Andrés has held the position of WCS Bolivia Head of Communication for Conservation, where he supports the communication activities of the Greater Madidi Tambopata Landscape. He has also been involved in the management of protected areas, indigenous territories, and municipalities, including the development of management plans for the Ixiamas Municipal Tourism Reserve and the Santa Rosa del Yacuma Municipal Reserve. Andrés plans to focus his studies on the role of communication in biodiversity conservation, the links and contributions to environmental policy in complex and changing scenarios, and the digital transformation of societies and organizations as an opportunity to efficiently manage networks and achieve conservation goals. 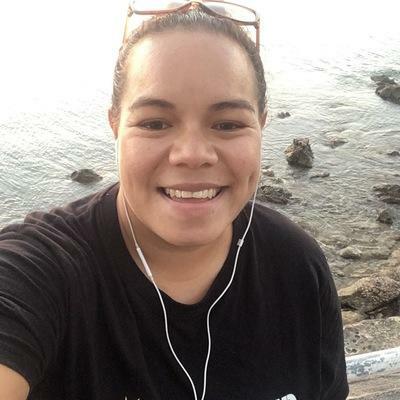 Krystelle has been awarded a WCS-WCN Conservation Scholarship to pursue her Masters degree at the University of the South Pacific. Krystelle’s fascination with the marine world started at a very young age, and her work experience with WCS and Nature Fiji-Mareqeti Viti taught her the value of engaging with local communities and harnessing their knowledge to build more resilient marine conservation strategies. Her internship at Global Vision International, where she conducted baseline surveys along the reefs of Motoriki in Fiji, was critical in helping the Fiji government determine the impact left behind by the 2016 cyclone Winston on their natural resources. Krystelle’s academic research will focus on a variety of marine species, and she will study the pressures that affect their populations, from overfishing to habitat loss. In this way she hopes to aid in their conservation as well as help the coastal communities in Fiji devise better techniques to meet their basic food security and livelihood needs.